Hello my lovely Sweeties 💕 How are you today? 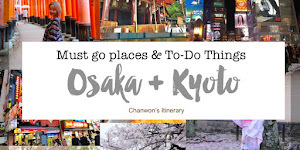 Finally I'm here again for the #ChanwonTips. If you follow me in instagram and stories, you might noticed that the hair clip trend is back again this year. Yes I remember when I was 16 or 18 I saw all the Japanese model actually did that on their hair and now the trend is back again. I was really surprise with the amount of new design hair accessories in 2019 now. There are available mostly in gold colour and have tons of different shapes as well. The first is all the bling bling clip with pearl design and soon there are the flat kind of metal hair clips as well as hair clip that are big and long than the normal hair clip size. I have been getting most of it and trying to figure out what's the best and simple way to use it & to create the most trendy hair clip kind of look. Finally, here's the #ChanwonTips as known as lazy cheat-sheet guide for you. There are lots of way to style with it but in this post, I'm going to make it as simple and I can and without any hassle. 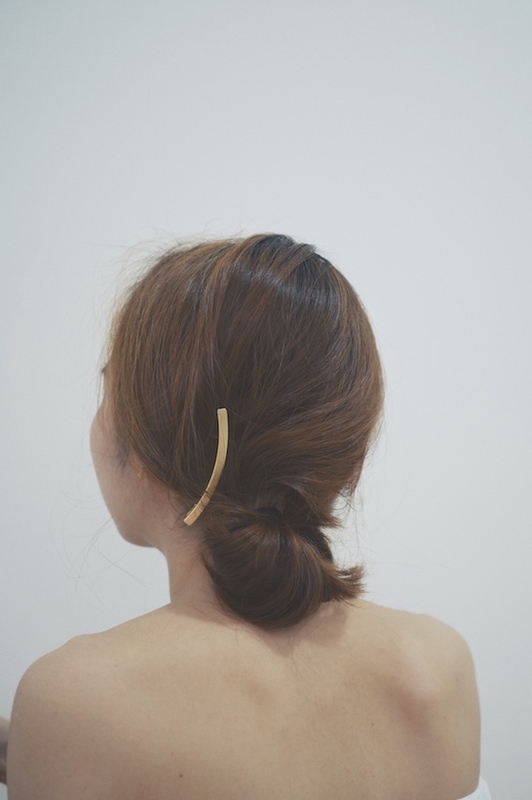 Most of the hairstyle using 0 rubber band but only one or two hair clips. Either you style a pony tail with the hair clip or just a half hairdo will do. You can easily style and do it within 1 minute. Also sharing all #ChanwonTips on all these hairdo & how to choose the hair clip for yourself. So are you ready for that? Let's get started! 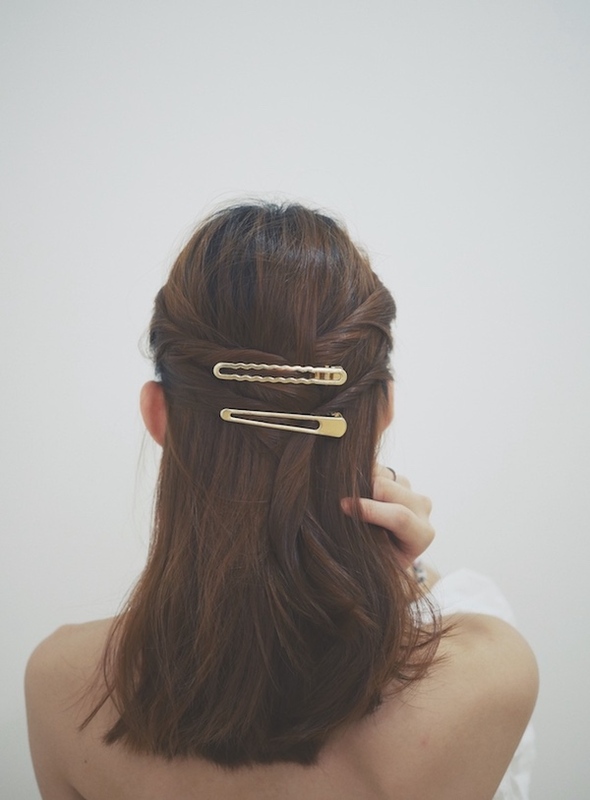 First is the easiest way to style with the current hair clips trend. Whether you are having a short or long fringe, either one you can look gorgeous by just adding a beautiful gold color hair clip. I'm currently having a long fringe, so I'm going to style by clipping all my bangs to a side. If you are having a short bangs, the super kawaii one then you can clip the long fringe to the side of your ear without touching your short bangs. 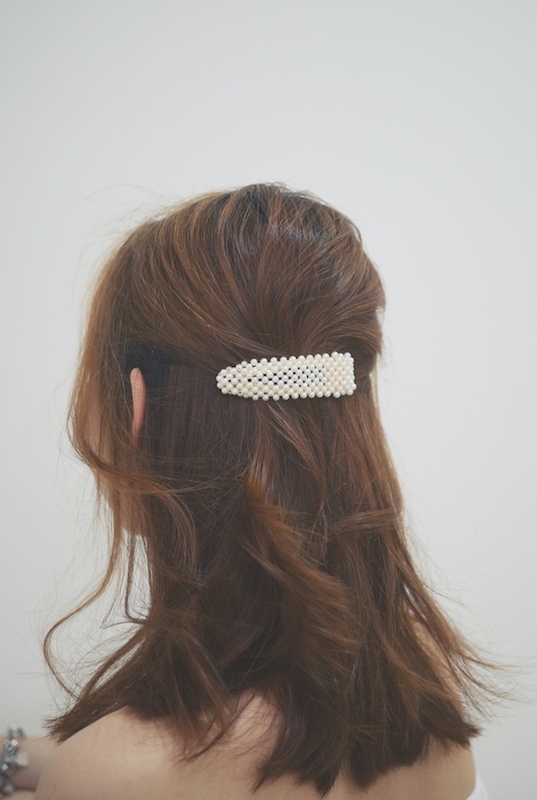 So here's some of my favourite hair make style with the full pearl hair clip! Just clip like that. As easy as that. Second method is an upgrade version of #1 method. Just add on a trick! Take a portion of your hair and just twist it and it will add a little texture / or layer to your hair. If you are 'growing' your fringe here's the best method for you! Just take all your long bangs and twist it to a side like so. Can be done within 1 min! 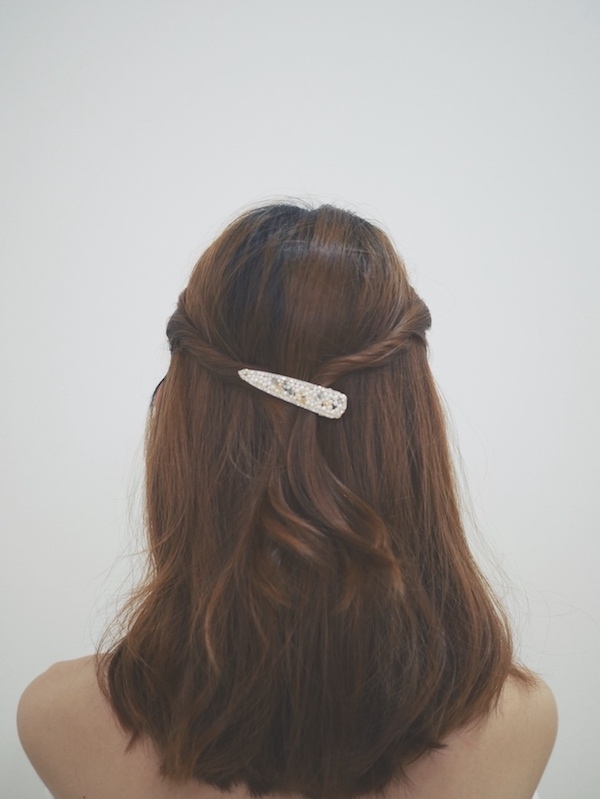 Even a long type of hair clip can look so feminine with this twist method. Everyone knows that how much I love messy bun. I can style my messy bun with any of the hair accessories. This is the simplest way to get rid of the boring black clip that we use to have in the past. This need a rubber band to tie a pony tail and then twist your hair, make it into a bun and just clip at the side of it. That's all and you are done! This hairdo can be style without using any rubber band as well. Just hair clip will do! I just take half of my hair and twist it to a side & just clip everything up. 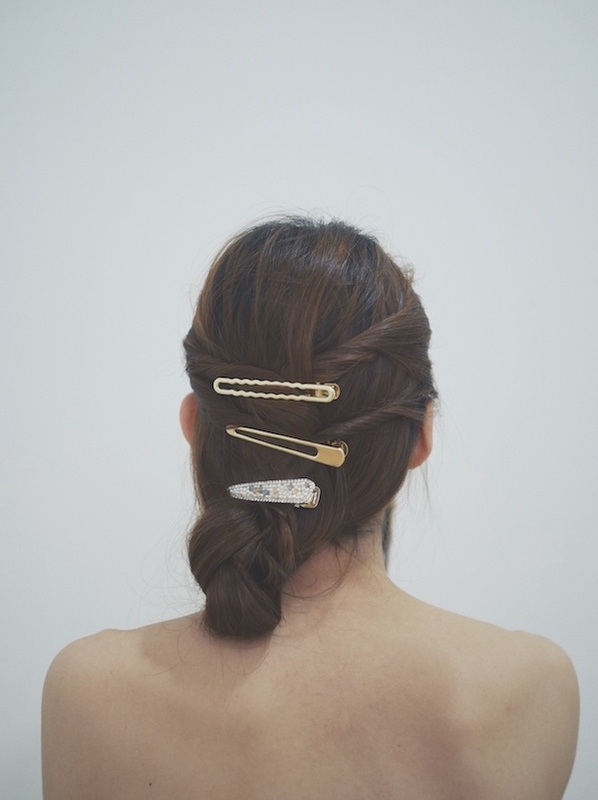 It's the most elegant way to style with your hair clip. This kind of look 回頭率100% and basically you can style with any hair clip. 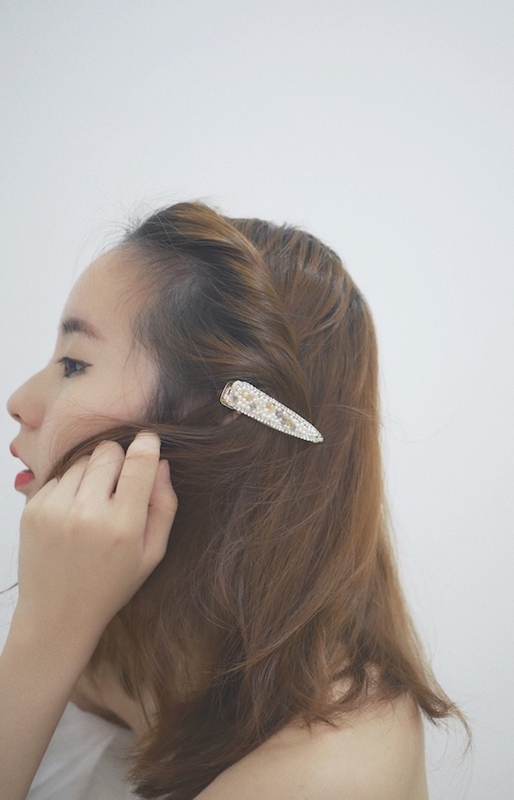 Small hair clip look more cute while the longer one make you look more feminine and elegant. This is also half up hairdo but instead of taking all the hair and clip it up, I decided to twist a little on both sides and make it look more cute and then only clip it together. 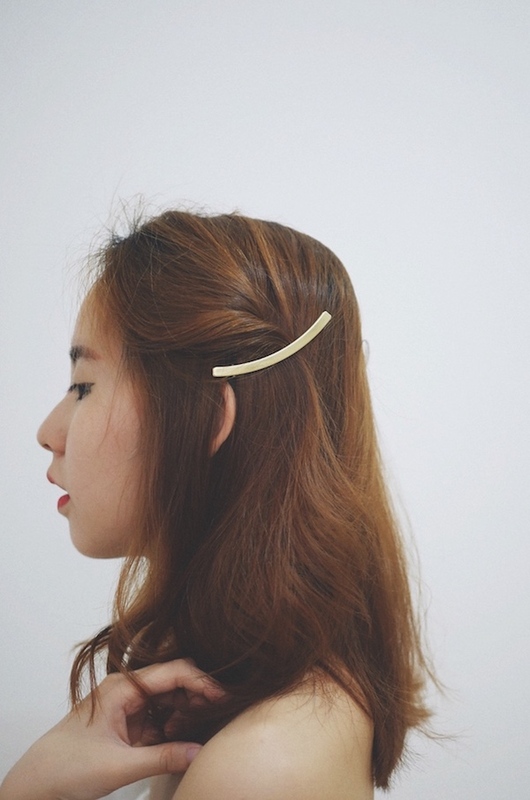 You can also clip your fringe like so! Double up the hair clip and also double twist half up hairdo! See now I'm styling using two diff hair clip but in similar style. 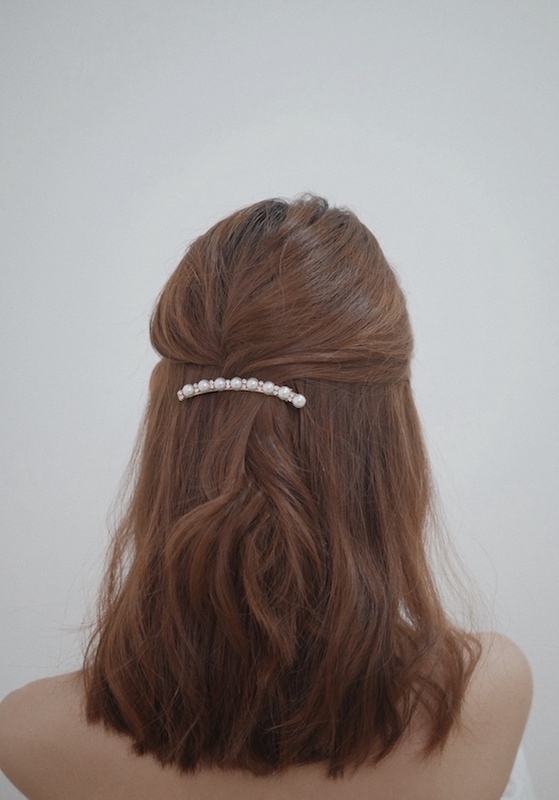 If you bought lots of these pearl and full pearl hair clip and you found out that it's too big for you to clip on your fringe then use it to style with your half-up hairdo. Like so... Then you can also double up the game like this! For daily I will use one hairlip but for most of my shoot I double up my hair accessories! HAHAAH Double up game strong lol. If you have more than 2 same hair accessories or similar style one then you can triple it like the photo below also. But please ignore my diff style hair accessories because I got only two similar one. You can self imagine the third one to be exactly similar with the rest lol. If only I have 3 similar one lol. 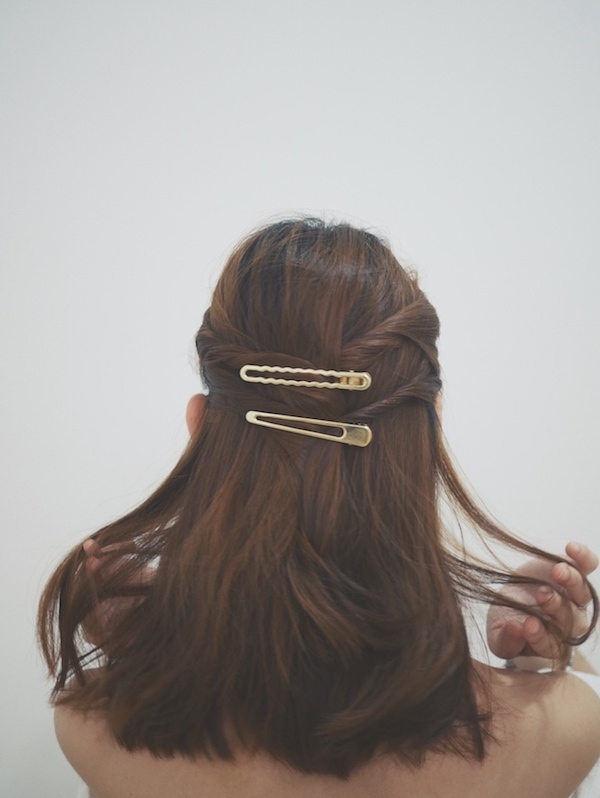 Just an example how you can style with 3 hair accessories! Still look super gorgeous. Last but not least, how about the lazy low ponytail look? 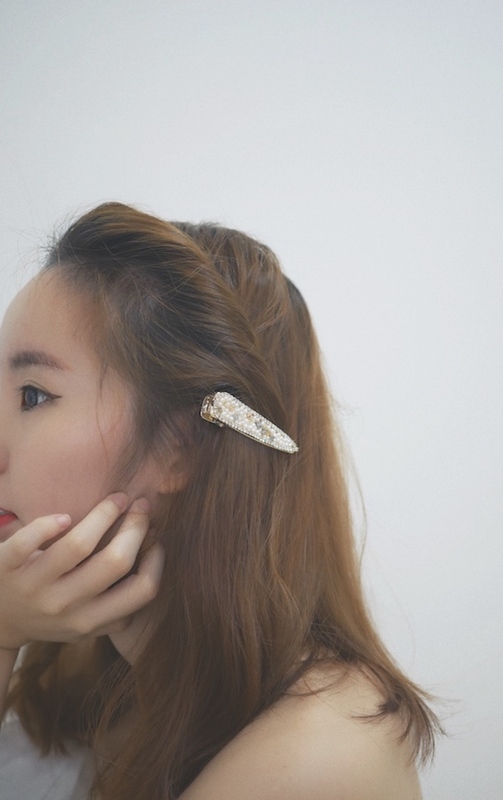 You can even style with your favourite hair clip on as well. Sorry the hair clip look slightly to the left because I'm using self-timer I can't see clearly when I style it at the back. HAHAHAHA You can put slightly near to your bun. So I guess all this styling tips can give you a little guide on the hair clip trend this year. Hope this is helpful to you and remember to save this / bookmark or share this with your bff so they know how to play around with their hair accessories. 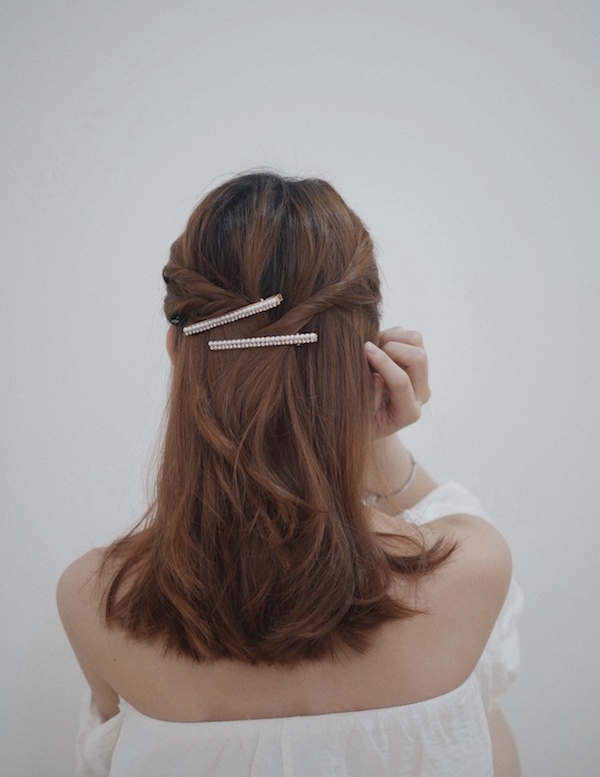 I'm so happy this trend is back in 2019 and I'm looking forward to get more hair accessories and create more #ChanwonTips and style for you. 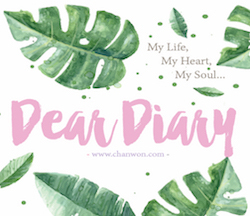 Thank you for reading my blog and see you on my next post! Love, xoxo.